All of us are familiar with the common wedding traditions – the vows, the speeches, the cake and the tossing of the bouquet. What we don’t know is why we do these things? Fashions come and go but the importance of the bridal gown has never waned. Did you know, however, that the white dress we associate so much with weddings wasn’t a fashion until the reign of Queen Victoria? She bucked the trend by wearing white when she married in 1840. It is often thought that the origin of the wedding veil comes from the custom of arranged marriage. When daughters were considered as a commodity to a family, the bride and groom would not see each other until after the vows had taken place. The bride wore a veil to ensure that the groom did not back out of the deal if he didn’t like the look of the bride. 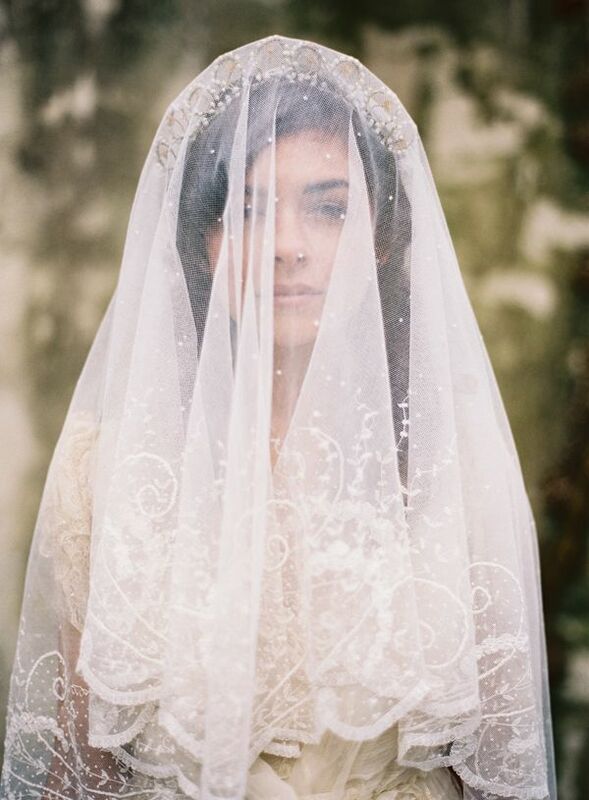 Some historians cite the Romans as the instigators of bride’s wearing a veil. It was believed that brides might attract evil spirits, jealous of her happiness and so the veil was used to cover her face and confuse the spirits. It is also a symbol of virtue but these days, more likely to be a glamourous accessory. This is a tradition also rooted in superstition. In the past, bridesmaids would dress in a similar fashion to the bride to confuse evil spirits who might be jealous of the celebrations. Once upon a time the ‘best’ part referred to a man’s swordsmanship. In a bygone era where marriage was more a business deal than a love union, the groom needed a good swordsman by his side. This would help with retrieving a runaway bride or to fend off angry family members. To have something old refers to keeping links with the bride’s family and past. The new part represents the entrance to a new life with her husband. The borrowed item should be from someone with a happy and successful marriage to pass on the good luck. Blue stands for purity, faithfulness and loyalty. Couples have celebrated with a wedding cake since the Middle Ages. The first cakes were made from wheat and said to symbolise fertility and wealth. In old fertility rituals, the cake would have been thrown at the bride! The cake has evolved into more elaborate, tasty and extravagant varieties today with multiple tiers and stunning decoration. The cutting of the cake is said to symbolise the first task that the bride and groom perform together as a married couple.